So what does Alfa bring to the class with the all new Giulia? 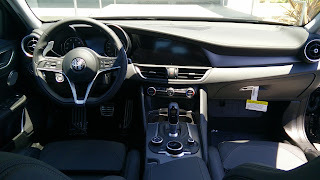 The drivetrain layout is more or less the same as most of the other cars in this class: a 2.0 liter turbo-four and rear wheel drive. From an equipment standpoint, it also includes more or less the same as every other car in this class (with the exception of Android Auto and Apple Car Play, which we were told will be in the 2018 model). If everything is so similar, what makes the Giulia different from the rest of the crowd other than its stunning good looks? That answer is simple. The Giulia drives like nothing else in its class. 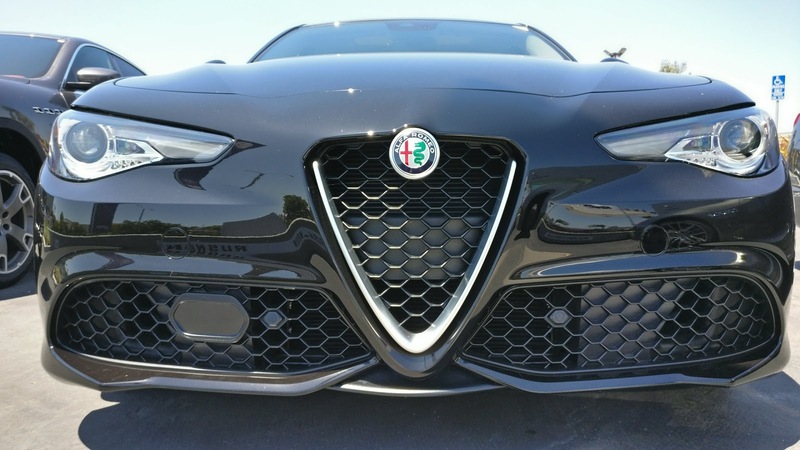 Despite having a 2.0 liter turbo-four, rear wheel drive, and the same eight-speed ZF automatic as many of the cars in the same class, the Giulia's engine makes the most power in its class at 280 horsepower and 306 lb./ft. of torque. Alfa's engineers were also able to find some magical formula that greatly reduces turbo lag from the engine. Hammer the throttle in the car's sportiest setting, and you practically feel no lag from the turbo unless you try really hard to notice it. The engine does make quite a nice sound, but it is a bit muted, though this isn't strictly a problem for just the Giulia in this class. The transmission clicks off shifts incredibly fast. Leave the car to its own will, and you hardly notice the car changing gears. 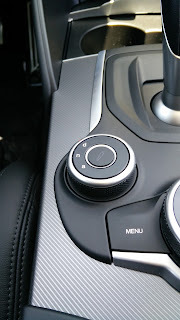 Grab the column mounted, metal shift paddles for an up or downshift, and the car shifts gears almost instantaneously. Downshifts are rev matched to ensure maximum smoothness between gears and really make you feel like a track hero as the car cracks off perfect downshifts when you're slowing into a corner or to a stop light. As ZF has had lots of time to perfect this transmission, it's no surprise that it performs as well as it does. To say it was a huge relief that Alfa went with the eight-speed rather than the nine is an understatement. Even though ZF has claimed to have fixed many of the problems with their nine-speed, any Acura TLX or FCA product owner will probably tell you differently. Handling is sharp and direct as long as you leave the car in "dynamic" mode and leave the dampers stiffened up. 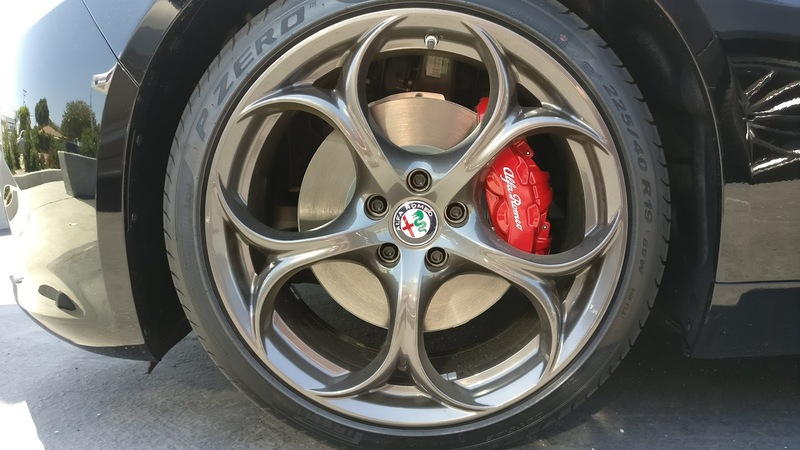 With the optional 19 inch sport package, the car comes equipped with Pirelli P Zero tires, which also help greatly with the car's ability to slice through curves like a hot knife through butter. The brakes (four piston at the front, single at the rear) bite down hard, bringing the car to a halt smoothly and confidently. Not looking for a bone jarring ride? 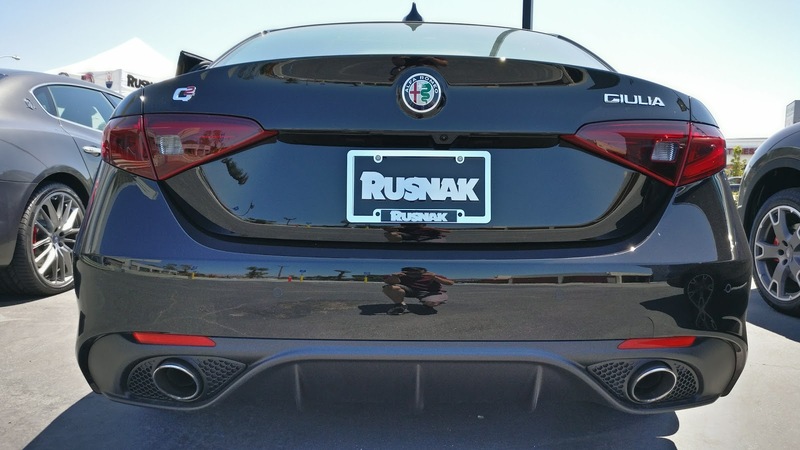 Set the dampers to soft mode and it absorbs bumps almost as well as your grandfather's Buick. There is one small problem with the handling though. As with many of the cars in this class, the electric power steering doesn't exactly offer as much feedback as I would want. That's not to say that it's completely devoid of letting you know what the front wheels are doing, and it is one of, if not, the best in class, but it could still be better. So far, the Giulia sounds like a home run, doesn't it? As with anything, nothing is perfect. For a car that costs north of $50k, the interior needs some massive work. Cheap plastic adorns practically every surface you'd touch in a car. It's in the door handles, it's all over the dash, and most of the center console seems to made up of it. Those hard plastics and some of the switch gear feel like they were left over from an economy car one-third the price. When the interior of our 2016 Accord Touring, a car that costs nearly $20k less than the Giulia, has a better feeling quality interior than a vehicle that's supposed to be a luxury sport-sedan, something isn't right. Oddly enough, Alfa felt it was necessary to line the least touched parts of the car with soft touch plastics. A curious decision, in the least. There are two other things that concern me about the Giulia, and these are things that should concern anyone considering this vehicle: long-term reliability and company longevity. I bring up vehicle reliability because the Giulia's launch was already delayed due to it being "technically immature," as the engineers claim. Even the press cars used for early magazine reviews had to be pulled for mechanical and electrical problems during a press launch. Let's also not forget that Alfa Romeo's history of reliability is sketchy at best. There's a reason why a long running joke among car enthusiast crowds is that "you aren't really a petrol/gear head unless you've owned an Alfa." 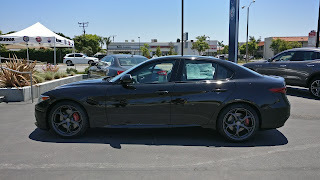 I also bring up company longevity because, let's face it, the Giulia is NOT selling well. At all. Up until now, Alfa Romeo has barely even sold a pitiful 2,500 units. Mercedes Benz and BMW sell as many cars in this class a month as Alfa is on track to sell in the whole year. Even the Acura TLX outsells the Alfa nearly eight to one on a monthly basis. Let's also not forget that Alfa Romeo had failed out of the US market once already. 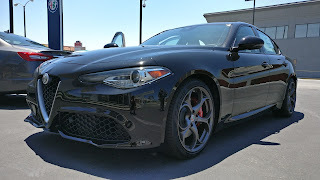 The Giulia is supposed to be Alfa's effort to push their way back in, but if the Giulia continues to sell at its current pace, there's a very high probability that FCA will pull the plug on Alfa in the US again. If that happens, what happens to current Alfa owners? 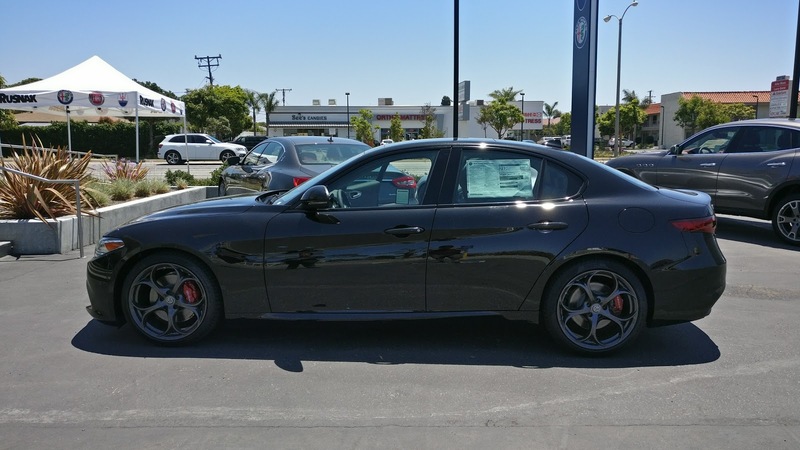 When it comes to mid-sized luxury sedans, the Alfa Romeo Giulia truly is the driver's car of the bunch. It handles superbly, the engine is as buttery smooth as a turbocharged engine will get, and it looks gorgeous. Unfortunately, the chintzy interior and long term reliability issues makes this car really hard to recommend for someone looking in this class. Realistically, I feel I could only recommend the Giulia as a secondary car to maybe drive on weekends. Then again, if you have the money to afford a weekend toy, you'd probably want to be looking at the Quadrifoglio with its 2.9 liter, 505 horsepower, twin-turbo V6, and not this more pedestrian version anyway.